Invest, live in and hold for land assembly in a property 50 meters from the Nanaimo Skytrain and redevelopment is coming. Home in excellent condition, 21 years old, B/I sprinkler system and with many mechanical upgrades. On demand hot water, high efficiency boiler for the 3 zone H/W heating system up is 3 bedroom & 2 full bathroom, master bedroom has W/I closet. Downstairs is a 2 bedroom suite and bachelor suite with their own entrances and all living units in the property have separate access to laundry. 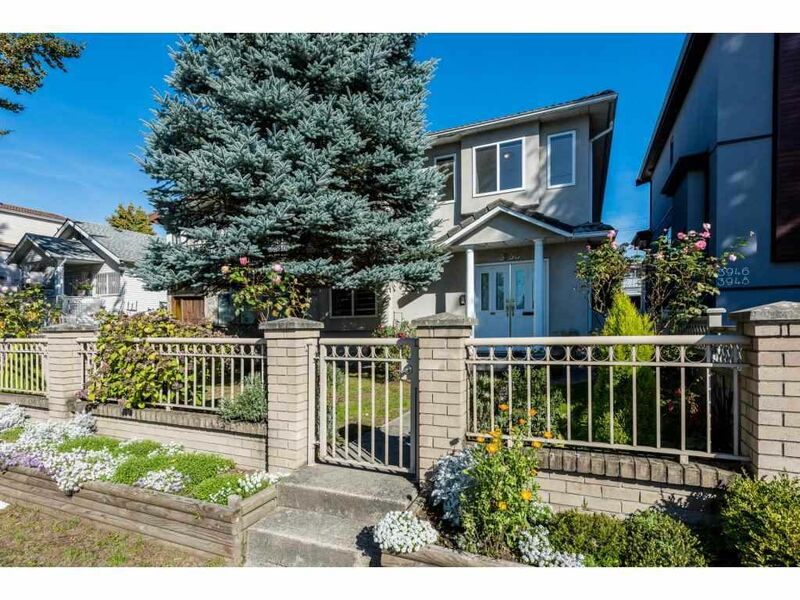 Double garage off lane, fully fenced and back yard is secured by a locked gate!